Yu-Gi-Oh! BAM monster and spell cards comes with a set of effects to make duels become more exciting to engage in. Consider and understand the effects of the cards when creating a deck to be able to build a more specific and working dueling deck. Refer below to learn how card effects will affect your game play and battle outcomes. 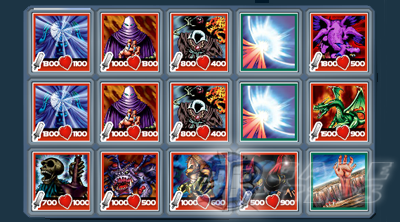 The cards below are grouped according to what they can do during battle. - Cards that can protect or increase your monster's Power. Can avoid destruction. - Targets your opponent's monsters. Mostly by decreasing their power. - Card that increases your Life Points. - Destroys your opponent's monster or spells without a fight or even if your monster lose. - Cards that can bypass battles and directly damage your opponent's Life Points. - A price to pay for having a powerful effect, mainly to balance the cards. - Cards with their own special effects, requirements or conditions. - Description: Your monster/s gains Power. - One of the most commonly used cards, specially at early game. - Combo with "Immune" spell cards like White Hole. - Can be countered by Debuffing Cards. - Description: Gains Power if it is the only monster on your side. - Place them on the right most channel for better chance of triggering. - You can play them alone in the field but will give your opponent some free hits. - Possible combo with "Fragile" or "Self Destruct" effect cards. - Description: Gains Power when opponent loses Life Points. - Combo with Direct Damage cards or effects. - Description: Gains Power as you gain Life Points. Losses Power as you lose Life Points. - Combo with all Healing cards. - Incompatible with "Backfire" or "Sorrow" effect cards. - Can be countered by Direct Damage cards. - Description: Your monster cannot lose Power or be destroyed. - Immunity will disable your monster's "Feeble", "Timidity", "Fragile" and "Self Destruct" effect. - Also disables "Sacrifice Monster/s" card effects. - Possible combo with almost all cards like "Boost". - Immune monster cards can still be countered by "Cripple All" or Spells like Mirror Force. - The White Hole spell card can't be countered by "Destroy Spell" cards. - Description: Doubles it's power if there are no cards in your Deck at Round Start. - Description: Drain Power from your opponent's monster to yours. - Possible combo with "Cripple" card effects. - Can be countered with Debuffing cards. - Watch out for "Requiem" and "Shared Fate" cards though. - A great effect that can be applied to any decks!, specially when you don't have boosts. - Description: Gains Power when you lose Life Points. - Combo with "Backfire", "Sorrow" or any card that will take life from you. - Healing cards can compensate the loss. - Description: Your opponent's monster/s loses Power. - Can be countered by "Boost" effects or "Immune" spell card effects. - Watch out for "Requiem" and "Shared Fate" cards. - Description: Opponent's monsters lose power when this monster is destroyed. - Watch out for "Requiem" and "Shared Fate" cards too. - Description: You gain Life Points when this monster is destroyed. - Combo with "Empathy" card effect. - To compensate "Backfire" or "Sorrow" card effect. - To counter direct damage cards. - Description: You gain Life Points. - Applies to Spells only. - Applies to monster cards only. - Description: Destroy your opponent's specific card types or spells. - Cards that targets a specific Monster Type should be used as side deck cards. - Use them only if your opponent's deck is using a Monster Type deck. - Cards that targets Spell cards are OK, specially those "Annihilate Spells" monster cards. - Can be countered by "Immune" spell card effects. - Description: Destroy your opponent's spell or monster. 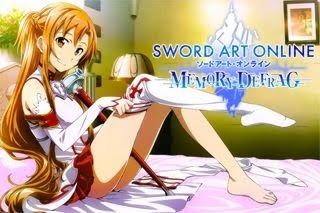 - This is where Mirror Force, Raigeki, Fissure and more, shines. Fissure, Mirror Force and more. Spells that triggers at round start like White Hole can't be destroyed by these cards though. - Description: When destroyed, your opponent's monster is also destroyed. - One of the best anti-creature monster cards in the game. Very annoying too! - Can be countered by "Immune" card effects or Anti-creature spell cards. - Description: Destroy opponent's monster before it attacks. - Also one of the best anti-creature cards! - Watch out for "Requiem" and "Shared Fate" cards too though. - At Round start, if your Graveyard is empty, your opponent loses Life Points. - Description: Opponents losses Life Points. - Combo with "Drain" card effects. - Can be countered by Healing cards, "Rage" monster cards. - Watch out for "Mirror" cards though. - Description: Every round the first time you lose Life Points, your opponent losses Life Points. - Description: Opponent losses Life Points when this monster is destroyed. - Description: Opponent losses Life Points when your monster attacks. - Description: You lose Life Points. - Make sure you have a good amount of Life Points to handle the backfires. - Combo with monster or spell cards that triggers when you lose Life Points like "Mirror"
- Watch out for cards that triggers when you lose Life Points like "Drain" monster cards. - Combo with Healing cards. - Description: Losses Power every round. - Can be compensated with Buffing cards like "Boost" effects. - Description: Destroyed after battling another monster. - They often come with very high Power! - Can be avoided with "Immune" spell cards like White Hole. - Description: Opponent gains Life Points. - Risky when you are up against "Empathy" monster cards! - Description: Destroy your spell/s or monster/s. - Affected monster cards can be avoided with "Immune" spell cards like White Hole. - Description: This monster is destroyed at the end of the round. - Same as "Fragile" above. - Description: You lose Life Points when this monster is destroyed. - Same as "Backfire" above. - Description: Loses Power if you opponent has 4 cards in play. - Can be compensated with "Boost" card effects or similar. - Quickly reduce your opponent's number of monsters in the field.